Just how do we relate science and faith, specifically, the Christian faith? Christians who take their Bible seriously will also take reason seriously. God is eminently reasonable; one could even say God is reason. But all too often there is a feeling that Christians are caught between irrational, reason and science denying positions and compromise with their faith. Plantinga outlines three approaches to the problem. First, the two-truth approach. According to this view one might affirm a proposition in science and deny it in theology. Second, the truth-from-a-standpoint approach suggests that we can hold to apparently contradictory propositions since we can be sure of both being true according to the discipline in which they are held. What we don't know is how the two propositions fit together. Not knowing how the propositions fit together shouldn't diminish our belief in either. The territorial approach suggests "science... properly deals with matters internal to the universe. It deals with the properties, behavior and history of the cosmos and the objects to be found therein; but it can tell us nothing about the purpose of the universe, or about its significance, or its governance, or its status; that territory has been reserved for Scripture." Plantinga finds all three of these approaches to be unsatisfying. In order to define his own approach he takes the issues of evolutionary science and the debate with conservative Christians over the age and origin of the universe. This issue is a central concern to educators and a flash point for the integration of faith and learning. Plantinga notes that there are three contemporary worldviews at play. Perennial Naturalism, "a view, according to which there is no God, nature is all there is, and mankind is to be understood as part of nature," Enlightenment Humanism, according to which, "it is really we human beings, we men and women, who structure the world, who are responsible for its fundamental outline and lineaments" and, finally, Christian Theism. 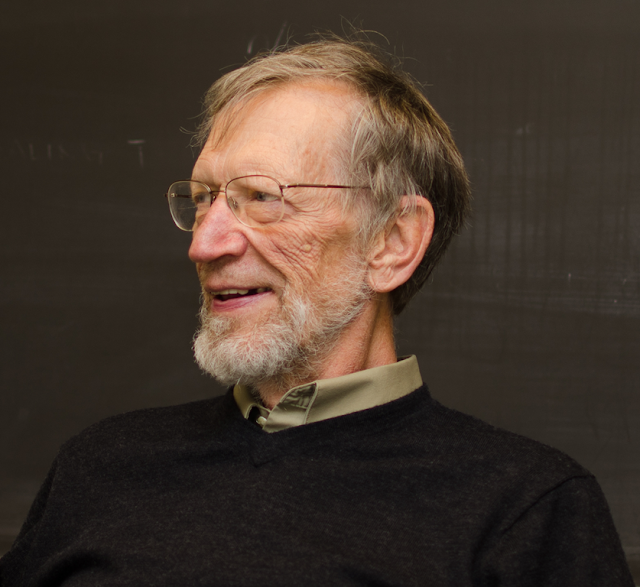 Plantinga argues that theories of origin are not religiously neutral. He suggests that evolution "functions as a myth, in the technical sense of that term--a shared way of understanding ourselves at a deep level of religion, a deep interpretation of ourselves to ourselves, a way of telling why we are here, where we are from, and where we are going." When listening to a person committed to evolution it is striking how various terms are deified. "Millions of Years" and "Mother Nature" are often seen as supreme beings, making possible the seemingly impossible, capable of miracles and guiding the universe. Perhaps, but isn't evolution a fact anyway? Isn't the evidence overwhelming no matter what ideology of religion one is looking at it from? Not really, no. Plantinga's own judgement is that the evidence is ambiguous at best. Plantinga evaluates the various lines of evidence for evolution and concludes: "Assuming that [evolution] is biologically possible... we do not know that it is not prohibitively improbable (in the statistical sense), given the time available." For example, it is conceivable that eyes evolved from non-eyes. But to find out how we would have to watch a set of eyeless creatures over a long time develop eyes. While we can conceive of such a thing and, given enough time, we can imagine such changes, the evidence for eyes arriving from non-eyed material is illusive. Could it happen, maybe, but how would we be able to test such a hypothesis? The problem is that, for someone not committed to Perennial Naturalism, the probability of evolution is reduced further: "But then (given the Christian faith and leaving to one side our evaluation of the evidence from early Genesis) the right attitude towards the claim of universal common descent is, I think, one of a certain interested but wary skepticism. It is possible (epistemically possible) that this is how things happened; God could have done it that way; but the evidence is ambiguous." Consequently, we Christians should be highly skeptical of all the pompous pronouncements from naturalists of certainty. While we can all conceive of evolution, it is certainly imaginable, it is certainly not certain! As Plantinga puts it: "That it is possible is clear; that it happened is doubtful; that it is certain, however, is ridiculous." What motivates stronger belief in evolution is not better evidence, Plantinga suggests, but a strong commitment to the worldview of naturalism. This is because methodological naturalism rejects any hypothesis that includes the supernatural prior to applying its method. Also, because evolution, given naturalism, is seemingly the only origin story that is intellectually justifiable. As far as developing a Christian response, Plantinga has some suggestions. First, Plantinga wants to affirm the conflict. Christians are in conflict, but not with science. It is conflict with opposing worldviews, ones that reject God. Second, what we need, Plantinga argues, is a cultural response. We need to recognize the religious and ideological commitments that underpin theory and critique them, take them to task for their blinkeredness. Third, we need Christians to enter the field and work to put forward Christian views of science. This is a difficult task. Christian work in academia on a Christian view of origins would not be acceptable in departments of science. However hard it might be, it is the task before us. And, says Plantinga, it is a task worth attempting. I admit to not having read Plantinga's Where the Conflict Lies and have used an older essay: Alvin Plantinga, "When Faith and Reason Clash: Evolution and the Bible," in Taking Every Thought Captive ed. Don King (Abilene: Abilene Christian University Press, 2011), p.87-108.